KWAs (Knowledge Worker Applications) are tools that aid in analysis, decision making, and visualization of business problems that include geographic analysis and data enhancement. Includes desktop mapping software, websites, hosted platforms, etc. taking mapping to the next level? Mapping Applications – for a world of devices. 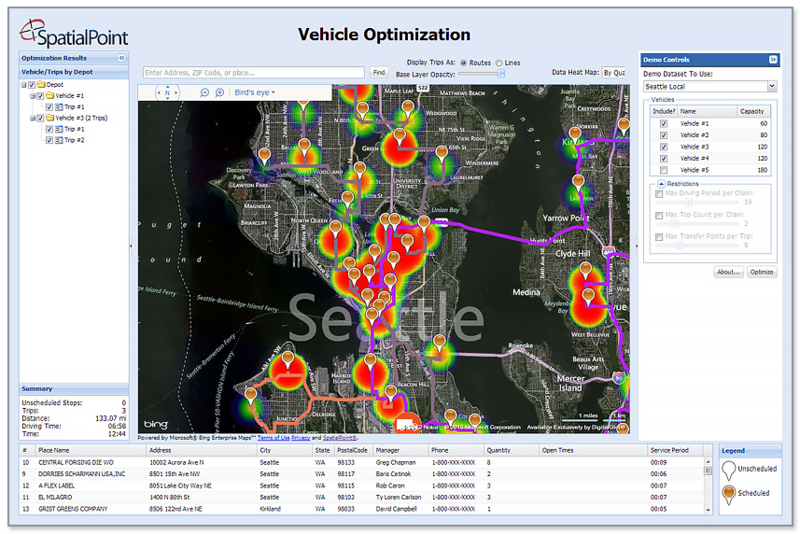 Powerful mapping software that makes it easy to visualize the relationships between business data and location. Analyze current data or strategize for site selection. For fast, easy service and uninterrupted use of Bing Maps in Esri software, order your Bing Maps key through SpatialPoint, a Microsoft Certified Silver Partner. ArcGIS is Bing Maps ready, but complimentary use of Bing Maps in Esri software is being phased out. You now need to obtain your own Bing Maps key and input the key into your ArcGIS products. 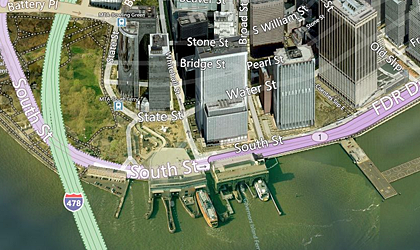 You can obtain your Bing Maps key from SpatialPoint. Once you input the new key, you will be able to use Bing Maps in your ArcGIS products. The ability to locate mobile customers and employees can enhance store locator, workforce management, roadside assistance, and other applications. The result is improved communication with customers or employees through interactive voice response (IVR) systems, human operator, or Web messaging. Store, dealer and office locators have become essential applications on business and consumer Web sites. Retailers, hotels, banks, insurance companies, restaurants and other businesses use online locators to help drive customers and prospects to brick & mortar locations to obtain services, shop and buy. In addition, online locators are excellent for promoting brand and increasing visibility for a business. 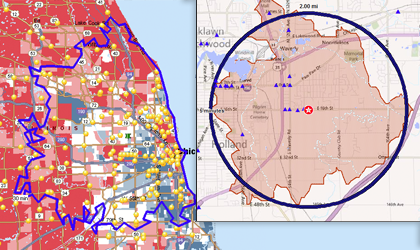 Customer frustration — unable to understand how to use the locator application or locator provides inaccurate locations. Loss of business to competitors — customers who can’t find what they are looking for will turn elsewhere. Lost opportunity to gain business intelligence — information obtained from the locator can be used to gain intelligence about customers, prospects, trade areas, market penetration and more, leading to better business decisions. Quality data is the foundation for solid analysis and critical for data enhancement. The SpectrumTM Technology Platform from Pitney Bowes offers enterprise scalability and centralized configuration and management to help you improve the quality, integration, accessibility and value of your information. It includes components, modules and applications that easily integrate with each other as well as your core CRM, ERP and legacy systems. Developing an accurate, single view of your customers allows you to improve customer relationships and create targeted offerings that generate better returns. These modular solutions enable organizations to optimize the performance of existing enterprise applica­tions, improve business processes and drive more intel­ligent decisions. 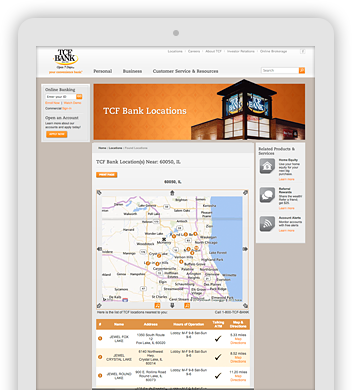 Find the TCF bank location or ATM location nearest you. Get the hours of operations, a map and directions. SEO display used for locations by state. 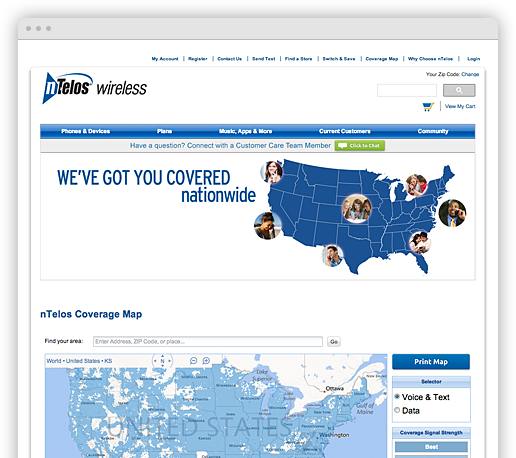 T-Mobile’s locator finds T-Mobile and authorized retailer locations. Find the Guaranty Bank and Trust Company branch location or ATM location nearest you. Filter by type of location, get the hours of operation, list of services, a map and driving directions. SpatialPoint’s Bing based locator for ExxonMobil in China includes an option to select a secondary administrative district to further refine the user search. 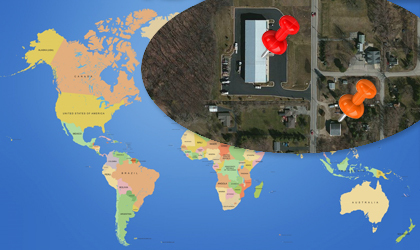 ExxonMobil Worldwide Global Distributor Locator is a geography-based worldwide locator versus a proximity based locator. Marriott’s Hotel search integrates into a sophisticated eCommerce system, with SpatialPoint powering key elements of the underlying application logic. The MetroPCS Locator leverages SpatialPoint to show customers and prospects the advantages of their wireless coverage network. The Shentel Locator leverages SpatialPoint to show customers and prospects the advantages of their wireless coverage network. 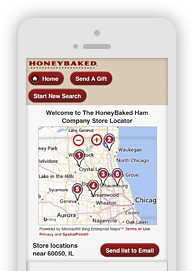 The HoneyBaked Ham locator finds locations nationwide and switches to a mobile version on small devices. Links directly to each store’s page for ordering. Follow the Game is an example application that combines the use of SQL 2012’s spatial tools and SpatialPoint’s Atlas tools. We are creating driving routes that pass through coverage polygons to determine which radio stations broadcast the Super Bowl along a trip or route. Click the “Launch Application” tab to open this application in a new window. For some applications, being able to shade ZIP codes by certain demographics is required. 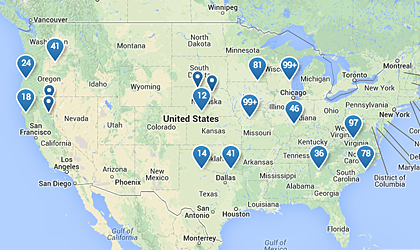 Likewise, being able to select certain ZIP codes to aggregate the data is helpful. This demo shows both for ZIP Codes and Counties. Click the “Launch Application” tab to open this application in a new window. Multiple layers of data with various types of clustering, drill-down capabilities, etc. Demo coming. 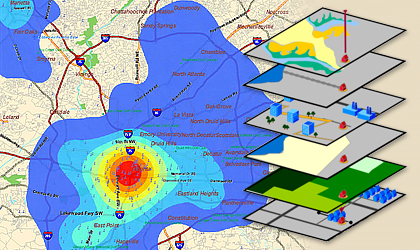 We’re web mapping and web GIS technology experts. Besides our own technology, we partner with Pitney Bowes Software, Gadberry Group, and Microsoft. If you have a location-based business challenge, we’ll help you solve it with the capabilities and service that create successful projects and impressive digital assets for your business.